Black Panther is on its way to becoming one of the biggest blockbusters ever, and the reviews that hit the internet on Tuesday have pretty much solidified that. At 9 a.m., the Black Panther review embargo was lifted, and as of this afternoon the movie currently has a 100 percent score on Rotten Tomatoes. But did you actually think it wouldn’t? Call me a little biased, but Danielle Young’s review hit the nail on the head when it comes to how majestic the movie is, and I appreciate her not hitting me up on Slack with spoilers. 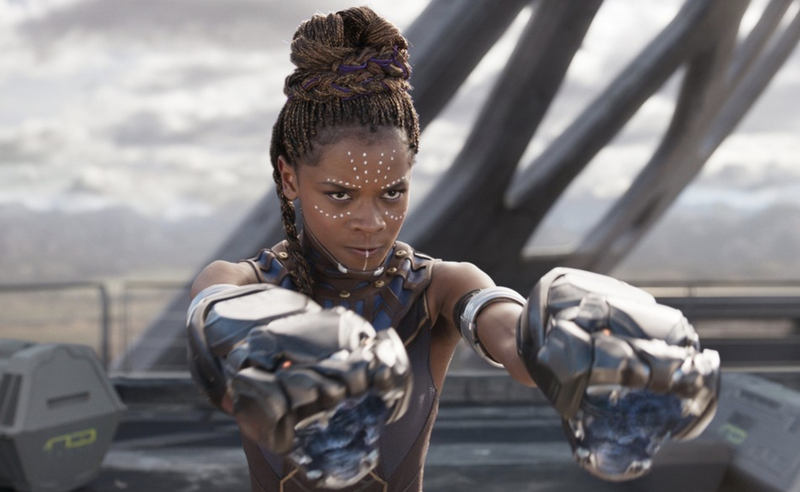 “Whether they were the cheers from Ramonda, or Nakia’s Bantu knots, or the Wakanda dignitaries with lip plates, or Wakandans speaking isiXhosa, a South African language known for its tongue clicks, there was more than enough evidence of the appreciation and adoration for all things black in this film,” Young wrote. What Black Panther offers is more than a movie; it’s a movement and a force that can’t be reckoned with.